The average monthly new-vehicle payment was $470 in the third quarter, up about 3 percent from a year ago but not a high. 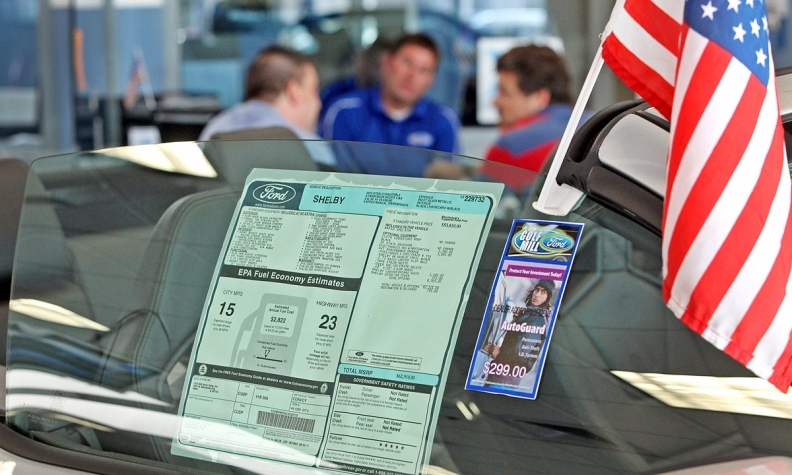 New York’s crackdown on dealerships and vendor Credit Forget It last month for a credit repair product the state considers illegal likely spurred some auto retailers to back away from credit repair altogether. But dealerships can still offer customers credit repair services and stay on the right side of regulators. How? By referring customers to an outside credit repair agency and then staying out of the process, say Joe Amella, CEO, and Sean McCarthy, executive vice president, of Diligent Credit Solutions in Long Island, N.Y. Diligent provides identity-theft resolution and credit consulting services. When one of Diligent’s dealership clients has a customer in need of credit repair, the store purchases a credit education and consulting packet from Diligent and gives it to the customer free of charge. The dealership then suggests that customers contact Diligent for help in repairing poor credit so that when the customer returns to the dealership, they can qualify for a loan. The process is between Diligent and the consumer. The dealership is uninvolved and receives no compensation for recommending Diligent. In June, New York Attorney General Eric Schneiderman reached settlements totaling several million dollars with vendor Credit Forget It and four dealerships that sold its products: an Acura and two Honda stores in New York City belonging to the Paragon dealership group, plus Generation Kia in Bohemia, N.Y.
Schneiderman’s office said Credit Forget It and the dealerships violated state and federal statutes that forbid the collection of fees upfront for credit repair services that may not prove to work. As many as 36 dealerships have been targeted in Schneiderman’s investigation. Credit Forget It, as part of its settlement, agreed to go out of business. Some of the dealerships’ attorneys said the stores were deceived by Credit Forget It. Diligent wants to “show that there are some good guys in the business,” Amella said. Consumers who work with Diligent pay the company after the service has been rendered, not before. He added that some of Credit Forget It’s problems came about because it allowed F&I managers to sell the credit repair product at any price. Dealerships that simply recommend a credit repair company have no product to upsell, he said. Referring customers to an outside credit-repair company enhances dealerships’ relationships with them and increases customer retention, Amella said. “Consumers are not legally required to go back to the dealership that suggested working with Diligent, but that’s the hope,” he said. One in five customers looking to buy a car leaves the dealership because he or she doesn’t qualify for a loan, Amella said. That customer could return after a credit history is repaired. During one week in June, after working with Diligent, three people who were originally turned down for a loan bought a car from the referring dealership, Amella said.